Robert Bryce Thomas and his associates, based in Chattanooga, Tennessee have helped provide financial security for clients for more than 10 years. Specializing in financial planning for families and small business owners, Bryce and his team are committed to providing value and excellence in the form of financial advice and services. Our Mission is to deliver comprehensive financial planning that is both unique to your situation, but that can also be adjusted as time moves forward and circumstances change. We begin by building a foundation for your plan, and executing on that plan. From then, we annually review your progress and commitment to your plan, and make adjustments as needed when milestones are reached or your circumstances have changed, such as the gift of having a child, or finally making that promotion at work. 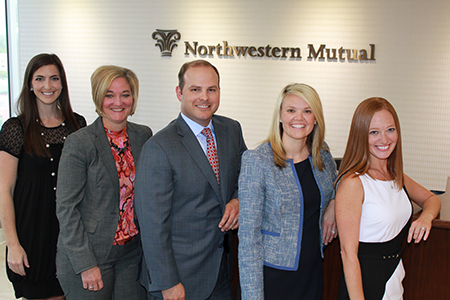 As your trusted advisors, we are committed to serving you throughout your life, and always being a valuable part of your financial plan. Our Process is simple. We begin by evaluating what is important to you and the goals that you want to reach, whether it be debt free by 50, building a retirement home in the mountains, or paying for your child to attend the college of his or her dreams. Building the plan comes next. First, we make sure risk is minimized, by maintaining a proper cash position, and ensuring that proper insurance coverage is in place. Following this foundation, we then begin the process of making your goals a reality, utilizing our wide range of investment, annuity, and retirement options available to you through us. Our job is to then ensure your assets are distributed at the proper time to you based on your plan. By doing all of these, our hope is that we have added value to your financial planning, and achieved your goals.